Saturday, January 11, 2014 at AVnightclub Hollywood features music by DJ Orator from 10pm to 3am, located at 1601 North Cahuenga Blvd in Hollywood. Dress-to-impress, arrive early and be ready to party hard at AVnightclub! Go VIP-style & turn heads in the club with premium AVnightclub bottle service table reservations! 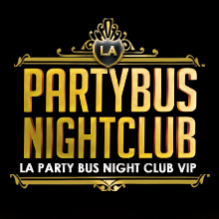 To RSVP and find out about bottle service reservations and bottle service deals go online at www.jbpevents.com, or contact Jamie Barren at (310-749-9029).